Growing up in 1970s Denver, teenager Martin Moran looked like a poster boy for Catholic school—a kid with good grades, clean fingernails, and a smile for everyone on his paper route. Inside, however, Moran was grappling with the conflicting shame and thrill of a relationship with his male 30-year-old camp counselor, Bob. This interview is adapted from the Christmas Carol edition of Words on Plays, A.C.T.’s in-depth performance guide series. Along with the curmudgeonly Scrooge and the adorable Tiny Tim, the ghosts of Christmas Past, Present, and Future are the most well-known and loved characters in Charles Dickens’s A Christmas Carol. But how do you translate these larger-than-life entities on to the Geary stage? Carey Perloff, A.C.T.’s artistic director and the co-writer of this adaptation of A Christmas Carol, offered her insight on Dickens’s seasonal spirits in this 2010 Q&A. What was your inspiration for the three ghosts in this adaptation of A Christmas Carol? I wanted them to be otherworldly spirits, filled with light, and not like ordinary humans. Their locomotion is different: they swing and rise up on elevators; they hang above like specters. What can you share about the ghost of Christmas Present? For ten months of every year, A.C.T.’s A Christmas Carol costumes are hidden away in the costume shop: all 200-plus costumes, including thousands of shoes. It is Costume Director Jessie Amoroso’s job to guide his team through the month-long sprint to get this Bay Area holiday classic onto the Geary stage once more. We caught up with him between costume fittings to get a glimpse into the preparations for this A.C.T. staple. 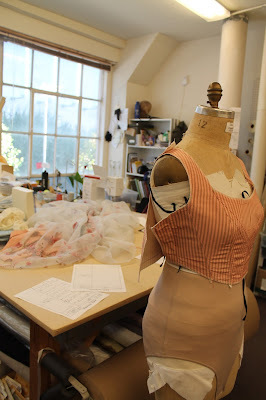 When does the process for Carol start here in The Costume Shop? We usually have about four or five weeks once it’s cast to fit everyone and get everything ready. That’s at least fifty hours of fittings over two weeks. Do you create any of the costumes from scratch each year? We usually create one or two new pieces. This year we’re making two new dresses, which are always fun to make. 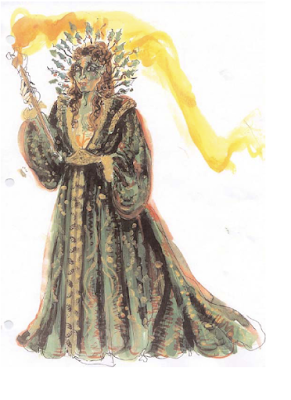 Are the costumes for our two Scrooges the same? Not only does Tom Stoppard’s newest play The Hard Problem—now playing at The Geary Theater through November 13—delve into the murkiness of consciousness and brain science, but it also presents a unique challenge for the set designer. How do you visualize consciousness? How can you represent it on the stage? 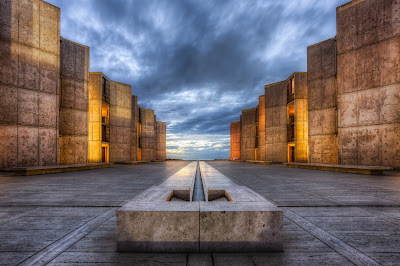 Built in the 1960s by architect Louis I. Kahn, the Salk Institute for Biological Studies is comprised of two mirror-image structures either side of a central courtyard. Made out of concrete and wood, these geometric structures create a temple of science on the shore of the Pacific. 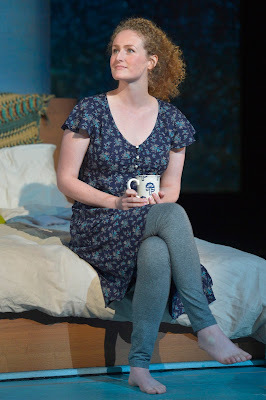 Altruism is at the center of Stoppard’s The Hard Problem, running at The Geary Theater through November 13. The term altruism—from the Latin alter, meaning “other”—was coined by French philosopher Auguste Comte in the nineteenth century. He wanted to create a religion based on a belief in science, rather than God. To Comte, to be altruistic meant simply to live for others. “Every single play that I pick up has its own accents,” says A.C.T.’s Co–Head of Voice and Dialects Nancy Benjamin. 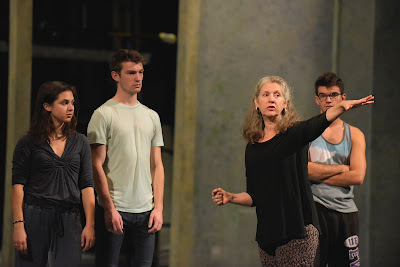 “The actors, the director, and the coaches have to figure out what that accent is and do it authentically.” Before she started working on Stoppard’s The Hard Problem—playing until November 13 at The Geary Theater—we sat down with Benjamin to talk about acting and accents. How important are the accents in The Hard Problem as an identifier of character?